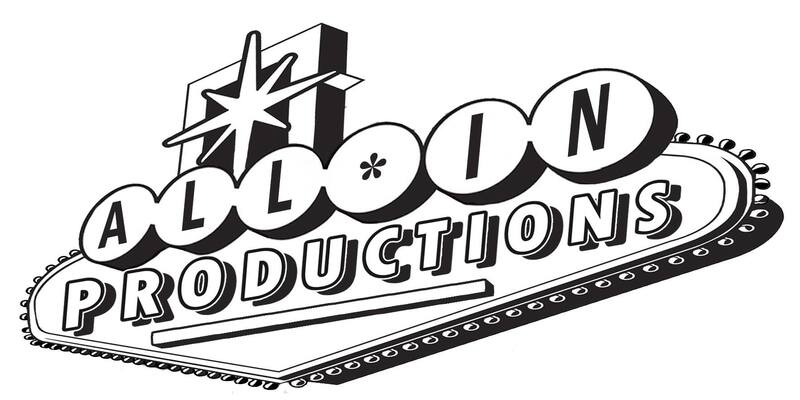 All In Productions is a 501(c)3 nonprofit theater company dedicated to creating spaces in which local Milwaukee artists can thrive and make a name for themselves. Founded by Milwaukee actors, we very strongly believe this is a city with a budding arts community that is on the precipice of greatness. Our goal is to make Milwaukee not just a stepping stone, but a destination for actors and artists of all ages who want to create meaningful and genuine art. The company was founded in 2014 by Alex Scheurell, Mara McGhee and Robby McGhee, and put up its first show that December: The Last Five Years at Next Act Theatre. The show received critical acclaim and overwhelming community support, and since then, AIP has added to its reputation with a series of well-received musicals and plays, many of which had never been performed in the Milwaukee area. 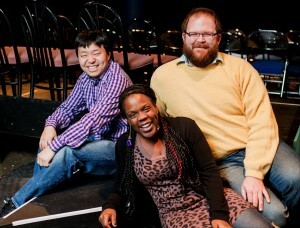 The company has received recognition in other ways as well, getting honored as a finalist in Shepherd Express’s “Best of Milwaukee” awards in the category of Best Theater Company for each of its first three seasons (alongside such established groups as the Milwaukee Repertory Theater, Renaissance Theaterworks and First Stage). Moving forward, we believe there are no heights we cannot achieve without your support. We are incredibly grateful for how the Milwaukee theater community has embraced our company so far, and look forward to many memorable performances and ventures in our future.